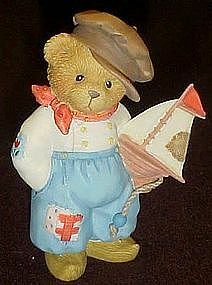 Cherished Teddies Jan, Like The Wind That Blows The Mills Our Friendship Is Forever. European Exclusive Dutch Figurine #611697 New in box with original packing & clean paperwork. Dutch teddy with a sailboat. Removed from package briefly to photograph. Never displayed.